Match reports from Saturday's Scottish Professional Football League games. Celtic moved eight points clear at the top of the Premiership as Dundee United fell eight points adrift at the bottom. The make-up of the top and bottom halves of the Premiership table have also been confirmed, with the post-split fixtures starting after next weekend's Scottish Cup semi-finals. 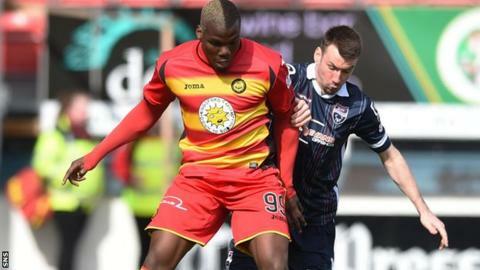 In the Championship, second-placed Falkirk stretched their advantage over Hibernian while the make-up of the play-off places in League Two changed. Click on the links below to read Saturday's match reports.